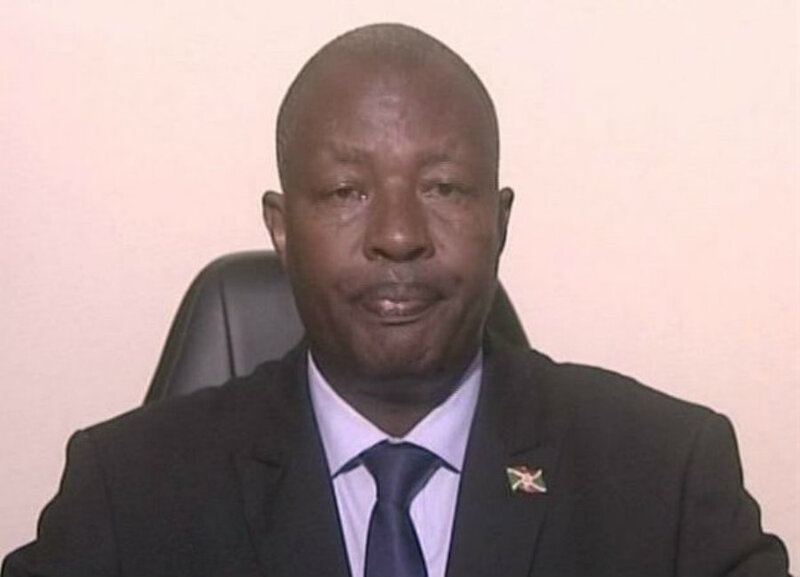 Burundi’s environment minister, Emmanuel Niyonkuru, was shot dead early Sunday while he was going home from a New Year’s celebration. The attack puts national stability at risk since Burundi is currently living a political crisis. Niyonkuru was 54 years old and was returning home in the Rohero section of Bujumbura -Burundi’s capital- when a lone shooter killed him around 12:45 a.m. Sunday. Pierre Nkurikiye, a spokesman for the national police, stated that the woman that was with the minister along with his watchman and his security detail were detained for interrogation. President Pierre Nkurunziza, Burundi’s supreme authority, posted a tweet announcing the minister’s killing. He offered his condolences to the family and all Burundians. ‘This crime will not go unpunished,’ he said while ending the statement. Burundi is facing a political crisis since President Nkurunziza decided to run for a third term in April 2015. The country’s constitution limits the president to two five-year terms, but the constitutional court ruled that Nkurunziza first term did not count because he was elected by members of Parliament and not through a direct vote. Pierre Nkurunziza won the elections although most of his rivals boycotted his campaign. The United States and European observers have expressed that Burundi’s past election was neither fair nor free. Since the elections, hundreds of people have been killed in the unrest, including high-ranked officials. Protesters have been murdered on the street after President Nkurunziza was elected for the third time. There has been an attempted coup and several rebel attacks against his mandate. Assassinations of government and opposition members have been happening under Nkurunziza administration. The political crisis has displaced an estimated 300 thousand people. The United Nations has accused Nkurunziza of several violent actions that might count as crimes against humanity, an assertion that Nkurunziza has rejected. Burundi became the first country to withdraw from the International Criminal Court in October. Said court is the tribunal which investigates war crimes and crimes against humanity and it is located in The Hague. Before Emmanuel Niyonkuru assassination, President Nkurunziza exacerbated the country Friday when he threatened to pull out almost 5,500 troops that were contributing to the African Union mission in Somalia. Nkurunziza said the soldiers had not been paid a year of allowances. The threat worsens tension with the European Union, the force’s largest donor. The Republic of Burundi is located in the African Great Lakes region of East Africa, bordered by Rwanda to the north, Tanzania to the east and south and the Democratic Republic of the Congo to the west. There are three main ethnic groups in the country, although the majority is Hutu. The other groups are Tutsi and Twa, although the last only represents one percent of the country’s population. Colonization and ethnic conflicts have deeply marked Burundi. The nation was an independent kingdom until the beginning of the twentieth century when Germany colonized the region. After WWI, Germany ceded the country to Belgium. European intervention worsened ethnic differences, leading to political unrest. Burundi became an independent nation in 1962. It was first a monarchy, but after several coups and assassinations, the country became a republic. There were two civil wars over ethnicity differences, one in the 1970s and the last one in the 1990s. Thousands died. The wars left the country undeveloped, and Burundians became one of the world’s poorest population.